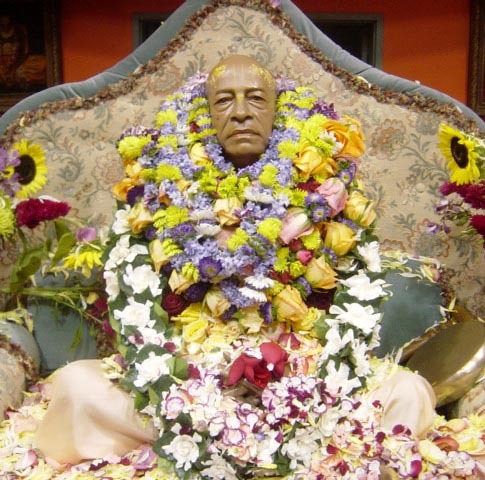 Srila Prabhupada murti, New York, U.S.A.
"Only the devotees of Lord Caitanya Mahaprabhu can dissipate the darkness of Kali-yuga, the ignorance of the population of this age. No one else can do so. We therefore wish that all the devotees of the Krsna consciousness movement may reflect the supreme sun and thus dissipate the darkness of the entire world."